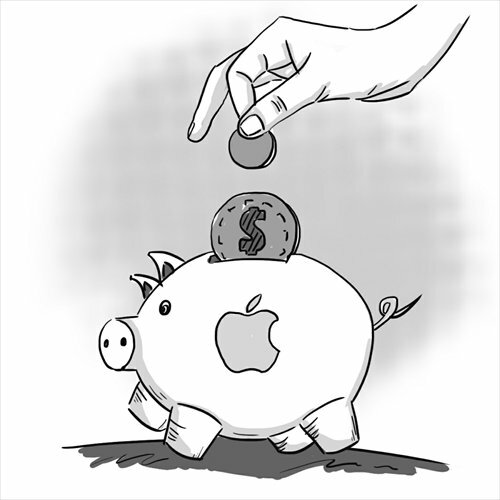 Why does Apple have such high profit? Why do banking systems have a tendency to fail? These seemingly unrelated questions have the same answer - taxpayers take a lot of the risk out of business activity. The ideas of two unconventional economists, Mariana Mazzucato and Elinor Ostrom, can help improve policy. Mazzucato is a professor of the Economics of Innovation. Her 2013 book, The Entrepreneurial State: Debunking Private vs. Public Sector Myths, does just what it says. It provides persuasive evidence that governments deserve more credit than private companies for the development of most important modern technologies. Apple's iPhone is her star example. She demonstrates that government programs developed all the key technologies, from the Internet to voice recognition. Her argument is that Apple's profit margins are unjustly high - over 20 percent after tax - because the company's financial flows are not accurate reflections of its genuine contribution. Taxpayers have done the heavy technological lifting; the company only adds a little engineering pizzazz and a lot of business acumen, but shareholders get rewarded for the whole piece. Mazzucato is most interested in refuting the accusation that the "dead hand of the state" inevitably slows down economic growth. Rather, the relationship is mutually beneficial. If political leaders and voters accepted her analysis, governments would fund more imaginative research, and Apple's profit would be more heavily taxed. However, her analysis could have gone further and questioned why economists create the strict division of public and private. In modern economies, organizations deemed private are almost always heavily influenced by government rules while those counted as governmental almost always work closely with business and finance. Ostrom, who died in 2012, understood this perfectly. The political scientist and Nobel economics laureate studied how people in many different cultures organize communal enterprises. Her specialty was irrigation projects, but the analysis applies to any enterprise, including corporations, hospitals and government agencies. The basic conclusion: economic activity is so complex that a crude division between market and state makes no sense. She described that common "dichotomization" as "grossly inadequate and barren." The banking system is an excellent example of an economic organization that defies a simple state-private division. Banks cannot be understood in isolation from - or in opposition to - central banks, regulators, elected politicians and customers on both sides of their balance sheets. All these institutions are better considered diverse members of a single financial community. The tie of banks to the government's monetary authorities is particularly strong. In normal times, banks create state-issued currency by making loans, automatically converting private promises into legal tender. In extraordinary times, when banks are in danger of failing, some state institution usually ensures that the failure is averted or proceeds without doing much economic harm. Before the 2008 financial crisis, many of the people running shareholder-owned banks were able to act as if their primary role were to earn profit for investors and for themselves. If financial economists had been reading Ostrom, they would have recognized that this was a system which had lost its way, because one group was getting an unfair share of the gains by taking unfair advantage of its privileged position. With the great power of banks to create new money through lending comes a great responsibility - to the depositors who provide the raw material, to the borrowers who use the new money, to the parts of the government which are supposed to ensure that the financial system serves the common good, and to society as a whole. It is not too grandiose to say that banks should act as repositories of financial trust. Nor does it require Mazzucato's detailed research to know that when bank shareholders and employees are particularly well rewarded, this trust is being violated. The widespread adoption of the Mazzucato-Ostrom view would lead to some significant changes in economic management. In industry, finance and government, a less dogmatic and more comprehensive approach could produce a better outcome. Next, companies such as Apple would get less respect. The real heroes of modern technology are not corporate leaders like Apple's Steve Jobs, but the whole scientific, technical and business community, which is spread over the so-called private and public sectors. The author writes about macroeconomics, markets and metals for Reuters Breakingviews.